If you’re mainstream, you probably think of Google glass or the plethora of gaming platforms with heads up display capture. Augmented Reality seems to be more synonymous with entertainment and diversion from reality than any viable technology capability. That escapism is truly more aligned with virtual reality in which the view and/or senses are completely created. AR, by comparison, is an overlay of information on top of real time, real world life. When examined more closely, Augmented Reality is actually less superfluous and more functional than perception. 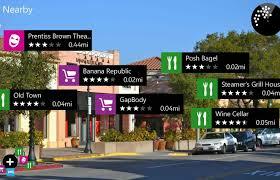 A practical example of AR is the suite of apps involving locative capability. The position technology in your phone provides a constant assessment of your environment. The morning commute is not just good or bad but measurably predictable to minutes and seconds. Hungry? Find out what food of what type and how much it costs is nearby. You can then look up the menu too. Need funds? Find the nearest ATM. Have an emergency? It tells where the closest urgent care or hospital is. Whether you’re traveling with a purpose or maybe just wandering, interest points can be laid out. In an industrial context, AR isn’t about meeting consumer need. AR observed in a work lens provides value to a corporate bottom line. The AR is a tangible, possibly auditable, Return On Investment. The worker becomes smarter and more efficient which translates into more accuracy and/or less failure. Boeing started using AR in 1997. Workers assembling the 777 wiring had head gear that projected the correct pattern in front of the worker’s hands. The intent was that installation was completed more accurately and more quickly because the time and attention of switching from book to assembly was removed – good old-fashioned work methodology improvement. Frank Gilbreth would have been proud. The worker could see the diagram virtually as they touched the wiring. This was possible as the 777 was the first aircraft designed from the beginning digitally. The shortfall became the AR hardware. The headsets were sluggish to respond to head movements. So the eternal race of software and hardware development continues. In the interim from the Boeing implementation, Oculus Rift and Google Glass have gained significant ground providing viable human interface via “comfortable” head gear. Yes, in the same time gaming devices have improved as well, which begets Oscar Wilde’s contention of life imitating art or vice versa. AR has decades of deep roots in military research and development. Whether following Clauswitz or Sun Tzu, AR enhances two vital military necessities: situational awareness and decision making. Advantage in either principle significantly increases capability and the potential for victory. AR improves these tenets in both training and real time application. Situational awareness (SA) is basic as well as complex understanding and appreciation for the range of near and far battlespace elements. 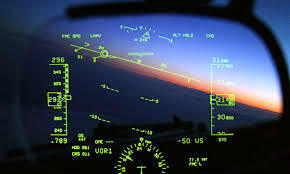 The “old school” example of AR is the fighter pilot Heads Up Display (HUD) deployed in the early 1980s. The clusters of dials and indicators spread across the dash and above head were manipulated into a more intuitive, integrated visual display superimposed in the field of vision where the pilot should look – out the windshield. Thus the pilot’s multi-tasked attention focused ahead (head up) vice head down in the cockpit. Being head down in an aircraft is a critique that the operator is not sufficiently cognizant of the surroundings and thus putting himself and the mission at risk. Now this technology is available as a option for some cars or you can just buy it online to add to your dash. AR situational awareness now influences all military platforms, down to the individual dismounted warfighter, and not just multi-million dollar equipment. In most of war history, the individual could be lost because of poor SA. Terrain, communication, weather, equipment, casualties, tactics: all effect SA for mission success. AR SA provides context for each warfighter where they are geographically, as a unit, as an adversary and as part of the operation. Thus the confluence of situational awareness flows into timely and effective decision making. This effect stretches across tactical, operational, and strategic levels. The substantial increase in information from SA saves lives and leverages mission success. A challenge to the increase in information is the overloading. Although faster decision capability can be learned, humans have specific limitations as to how many elements can be assessed at any given moment or span of time. Like the HUD reassembled the flow of information both physically and psychologically, AR decision making requires a reconfiguration of how the information is presented to the participants. Shifting the AR capability to a more benevolent format, DAQRI focuses its development of AR technology to industrial applications that provide safer and more effective industrial environments. Their products are intended to provide tangible Return on Investment (ROI) numbers to customers in their industries. A simple example is plant workers using thermal imaging goggles that allow them to see “hot spots” in equipment long before it fails, saving both equipment failure and downtime, and it also has the added benefit of protecting workers from potentially dangerous conditions. None of these examples or applications of AR utilize Big Data. The specific application of Boeing’s aircraft assembly doesn’t really need more information than the limits of the blueprints. The traffic app on your cell phone is a fairly general example of Big Data, which is funny how such an amazing capability has become taken for granted. Utilizing the volume, velocity and variety of Big Data that surrounds that burning building is an opportunity. The heat signature and visibility through smoke are “in the moment” augmentation. To better assess the building itself, not only can the architectural drawings be used but Big Data could recreate the history and context of the building: permits pulled on it, surveillance cameras for that building and surrounding ones. Social media could be culled to look for free floating data points in regard to its usage, contents, and inhabitants (official & unofficial). 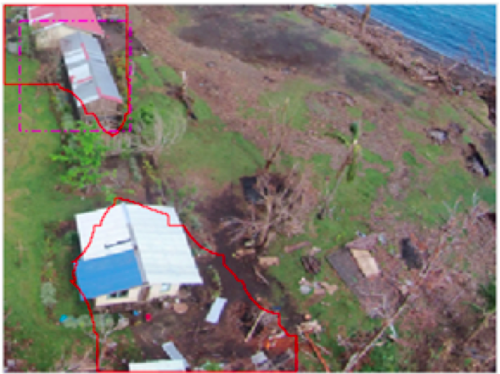 This additional situational awareness is used to predict the survivability of the structure in regard to the rescue of those inside and decision making of whether to risk rescuers to keep it. As for the military application of Big Data in AR, that’s the stuff of a much larger discussion. Basically, it’s easy to appreciate how Big Data can expand situational awareness and subsequent decision making capability for military tactics, operations and strategy. As the Boeing example was a bounded problem, and the fire fighting opportunity is open; military application is really, really big. The amount of unused data far outweighs a current capability, but that is the stuff of intelligence and warfare development.